I understand quite well that we all want to find meaning and purpose in life. For me, when I’m feeling empty and well, sort of useless, it’s not a good feeling. There are certainly many paths to spiritual growth or enlightenment, but a major key for each is to regularly invest in developing a spiritual practice. There’s really no getting around it. After all, developing your spiritual identity is much like developing your muscles, as it takes regular time and discipline. I’ve tried to have six pack abs without time and discipline working them, and it never works out (hee hee). Today, let’s take a look at how you can get in touch with your spiritual side and grow in peace and happiness. Spirituality is essentially an inner search for truth, purpose, and a relationship with God. It’s an inherent search for meaning and value. It’s feeling as if you’re something underneath this shell of flesh. It’s really knowing you are something DEEPER than your thoughts. It’s a path, a journey. How to increase it? You can develop your spirituality or connection with God using regular spiritual practices and discipline. How can becoming more spiritual help me? Have you ever felt passionless and purposeless? Yeah, it’s no fun. I get clients all the time that feel this way. They’re tired, burned out, bored, frustrated, confused, and so on. Oftentimes I encourage them to begin pursuing a spiritual path, as this can result in them beginning to discover a sense of passion and purpose. We are all faced with life’s challenging questions from time to time and developing a spiritual life can certainly help you emotionally, mentally, physically, and spiritually. Spirituality and religion are two different roads. The religion road is marked by set rituals and beliefs, whereas the spiritual road is more open. I am all for both! For example, religion may prompt you to perform a certain ritual in order to feel accepted and religious, (like kneeling to pray or making the sign of the cross), but spirituality prompts each individual to discover their own unique path. For one person it might mean meditating regularly and for another it might be sitting quietly in nature appreciating the beauty of the earth. Yet for another it might mean attending a spiritual ceremony or yoga on a weekly basis. Investing in a regular spiritual practice will help you grow in valuable ways. Some experience less stress and more peace. Some feel closer to God or their higher power. Some journey inside and develop a self-love that has been neglected. Others experience an unconditional love for others. You may experience a host of positive changes in your life as you pursue spirituality, such as compassion, better health, positive thoughts, inherent joy, favor, and gratitude. To develop spiritually, it is important to take some time to invest in your growth regularly. Just as you exercise your muscles to make them stronger, you must exercise your spiritual muscles to grow spiritually stronger. Keep in mind that there are no set guidelines or rules for developing spiritually. Try different spiritual practices and discover what works for you. Meditation. Take time regularly to sit quietly and focus on your breath. Relax and enjoy deep peace. Contemplation. Sit somewhere that is quiet and contemplate life, spirituality, love, gratitude, and other things that are interesting to you. Repetition of mantras. A mantra is a sound or word that you repeat to help you while meditating. Find several that you enjoy and repeat them regularly. Reading spiritual passages. There are a plethora of spiritual writings available. Take time regularly to read passages that encourage and motivate you to stay on your spiritual journey. Affirmations. Recite positive affirmations daily that help you to stretch and grow. Confession. Make a declaration of your beliefs and goals regularly. Confess that you grow spiritually each day, that you are becoming more loving, peaceful, and happier. Writing in a journal. Regular journal writing aids spiritual growth significantly. Pen your thoughts, beliefs, dreams, and success stories. Yoga. This spiritual practice uses deep breathing and stretching to help you get in harmony with your mind, body, and spirit. Deep breathing exercises. Spend a few minutes each day breathing deep, as this helps to relax you and center yourself. Chakra balancing. Your chakras are spiritual centers in your spirit and sometimes they can get out of balance. Spend a few minutes each day to balance your chakras. Tai-chi. This gentle form of martial arts exercise will certainly help your body and spirit get stronger. Fasting. Withholding food from your body for a period of time is thought to help you become more in tune with your spirit and higher power. Dance. Expressing yourself through dance can be a spiritual experience and help you grow. Qi Gong. This Chinese spiritual practice involves the practice of aligning your mind, body, and breath in order to experience more peace, joy, and spirituality. Walking. Taking walks helps your physical body, but it oftentimes gives you plenty of time to contemplate and connect with your spiritual self as well. Singing hymns. Spiritual songs have long been a favored way to grow spiritually. Belt out praises and worship and FEEL the wonderful feelings that come as a result. Rituals. 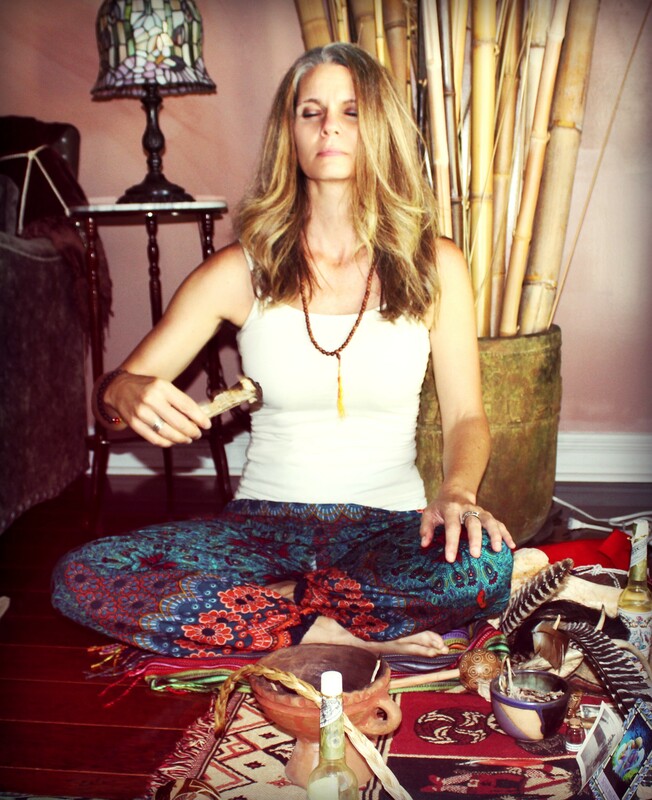 Engage in various rituals like meditation, prayer, Shamanic ceremony, or attending a spiritual service to grow. Prayer. Offering heartfelt words to your higher power can help you feel spiritually connected. Attending a church service. There are many types of services to choose from. Choose what works for you. Prayer groups. Join a prayer or spiritual group that has similar beliefs as you. Chanting. Chant your favored mantras several times throughout the day. Any devotional effort or practice. You may even discover something new that works for you. Keeping a gratitude journal. Write down all that you are grateful for often. As you offer gratitude to the universe, many good things are drawn to you. Becoming more of a spiritual person helps you to feel more connected to something greater than yourself. When you can view life with your spiritual eyes, life just makes more sense. You stress less. You feel happier and more peaceful. You get in touch with the core of who you really are and that simply feels good. At the same time, try not to get caught up in the “do” mentality. It’s not the “doing” that makes you spiritual. You’re already spiritual! But sometimes the disciplines, rituals, techniques, etc. help you better IDENTIFY with your spiritual nature and feel closer to God, Source, etc. Developing your spiritual practice will be a personal process. It’s not so much about routines or regimens, as it is the feelings associated with your disciplines that are important. If meditation makes you feel happy, do it regularly. If painting a picture makes you feel passion, do it regularly. If taking a long walk in nature helps you to feel spiritually connected to your Higher Power, take long walks often. The point is to act on what makes you feel happy and peaceful because as you do, you are growing spiritually as a byproduct. Do you have a routine or favored technique that gets you into a spiritual space?